Description: Are you still confused about logistic and do not know how to draw a logistics flowchart? 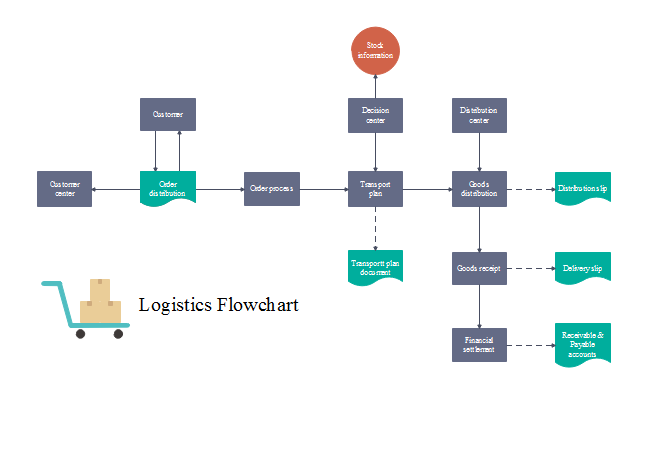 Here is a logistic flowchart template which you can view and download! Start your own flowchart design with a professional flowchart maker, Edraw Flowchart Maker. Download this software and create your own professional flowchart with its help.